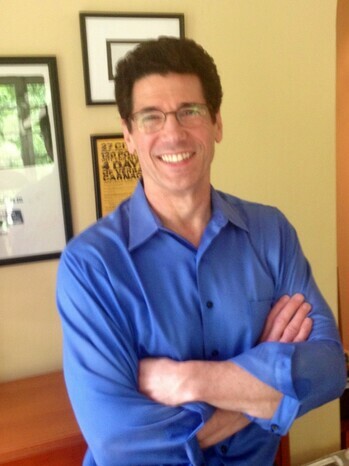 Mike Puican has had poems in Poetry, Michigan Quarterly Review, Bloomsbury Review, and New England Review, among others. His essays and reviews have appeared in TriQuarterly, Kenyon Review, and Brevity. He won the 2004 Tia Chucha Press Chapbook Contest for his chapbook, 30 Seconds. Mike was a member of the 1996 Chicago Slam Team and is a board member and past Board President of the Guild Literary Complex in Chicago. 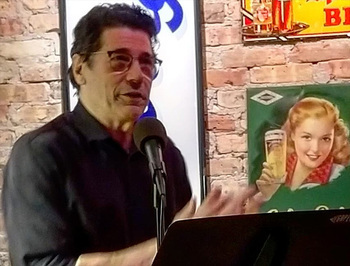 Please join Mike and our other amazing readers on Tuesday, February 5, 2019 in the upstairs bar at Hopleaf. Doors open at 7pm, and the show starts at 7:30. It's free, and 21-and-over. Please RSVP on Facebook. 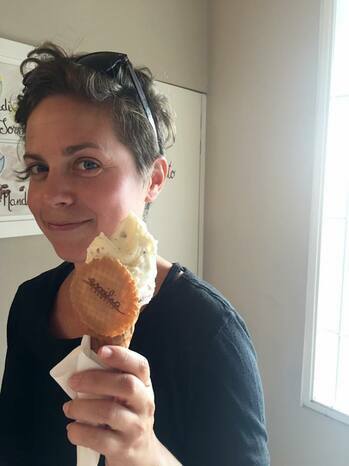 Eden Robins writes short fiction, long fiction, short essays, and jokey video scripts for the health insurance industry. 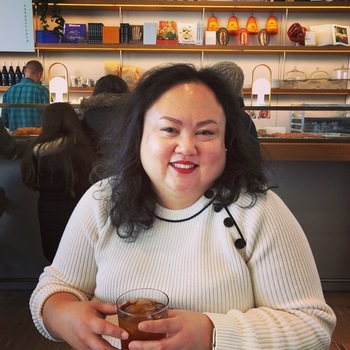 Her work has appeared in Apex, Shimmer, USAToday, and the LA Review of Books, and sometimes nice hosts let her perform at live lit shows like Chirp Radio's First Time, 20x2 Chicago, Story Club, and Miss Spoken. She has an uncanny habit of abandoning creative projects just as they're starting to gain traction, and she tweets grumpily @edenrobins. 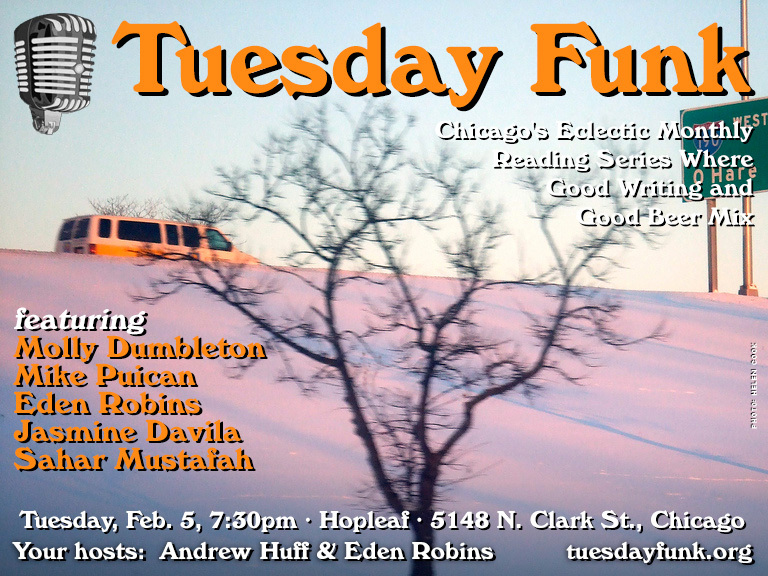 Please join Eden and our other amazing readers on Tuesday, February 5, 2019 in the upstairs bar at Hopleaf. Doors open at 7pm, and the show starts at 7:30. It's free, and 21-and-over. Please RSVP on Facebook. 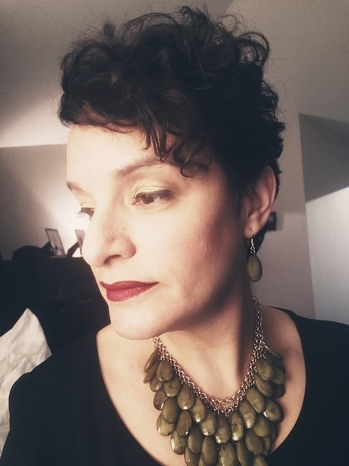 Sahar Mustafah is a first-generation Palestinian American. Her short story collection Code of the West won the 2016 Willow Books Prize for fiction. 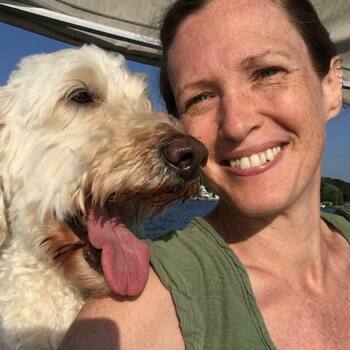 Her first novel, The Beauty of Your Face, is forthcoming next year by W. W. Norton. She has taught delightfully misunderstood teenagers for over 21 years. Please join Sahar and our other amazing readers on Tuesday, February 5, 2019 in the upstairs bar at Hopleaf. Doors open at 7pm, and the show starts at 7:30. It's free, and 21-and-over. Please RSVP on Facebook. New year, new you! 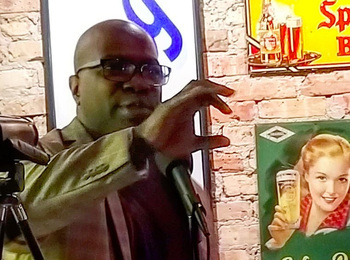 This is the year you go out and see more live lit and storytelling shows -- starting with Chicago's favorite eclectic monthly reading series, Tuesday Funk! Join us on Tuesday, February 5 in the upstairs lounge at Hopleaf for readings by Molly Dumbleton, Mike Puican, Sahar Mustafah, Jasmine Davila and our very own cohost, Eden Robins! As always, admission to your favorite eclectic monthly reading series is free, but you must be 21 to attend. Doors open at 7pm sharp (don't dawdle if you want a seat!) and the show will start at 7:30pm. Please RSVP on Facebook -- and don't forget to like and follow our page so you get our announcements right in your stream. No January Show -- Happy New Year! The first Tuesday of January happens to be the first of the year! 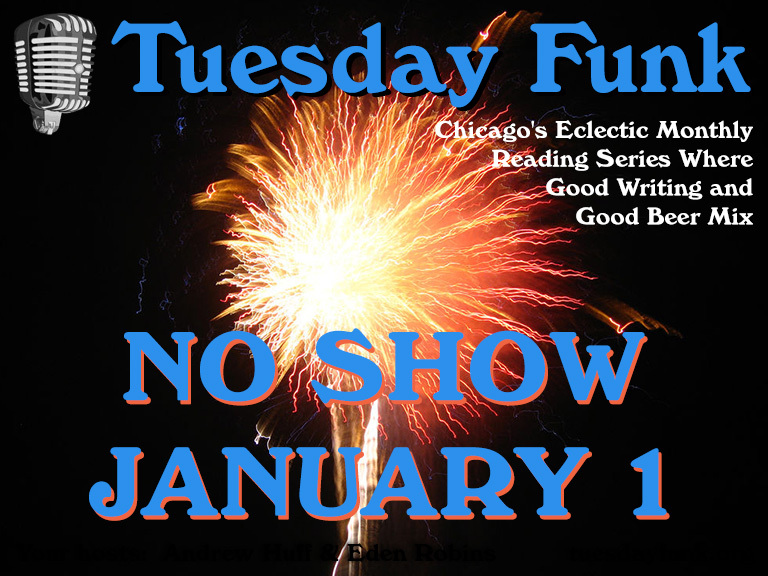 And so your favorite eclectic monthly reading series will bow to the holiday and take the month off. We'll see you on Tuesday, Feb. 5 instead. Stay tuned for an announcement of our February lineup, and have a happy new year! Tuesday Funk cohost Andrew Huff read a few of his patented topical haiku at our December show. Black Panther came out this year. The last Tuesday Funk in 2018 was a lot like the year itself: a roller coaster of emotions. We got started with Funk founder Connor Coyne, who read an excerpt from his new book Urbantasm featuring a once-in-a-teenaged-lifetime laser show. Next, Dayna Bateman shared a touching story about her father and finding quiet places. Then Cesar Torres read a portion of one of his books, featuring a rather unusual form of artificial intelligence. We took a break to refresh our drinks, then cohost Andrew Huff shared a few seasonal haiku, followed by an essay from Rosamund Lannin. Finally, James Gordon told a story about racism ruining a good deal. Miss it? Video will be up soon. In the meantime, join us at the next show on Tuesday, Feb. 5, 2019, when we'll feature readings by Molly Dumbleton, Mike Puican, Sahar Mustafah, Jasmine Davila and our very own cohost, Eden Robins! See you there!